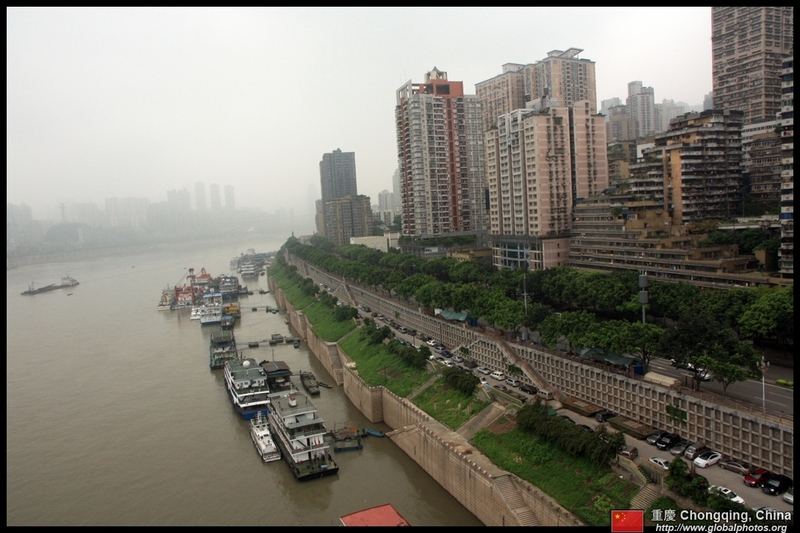 Chongqing is a huge city. 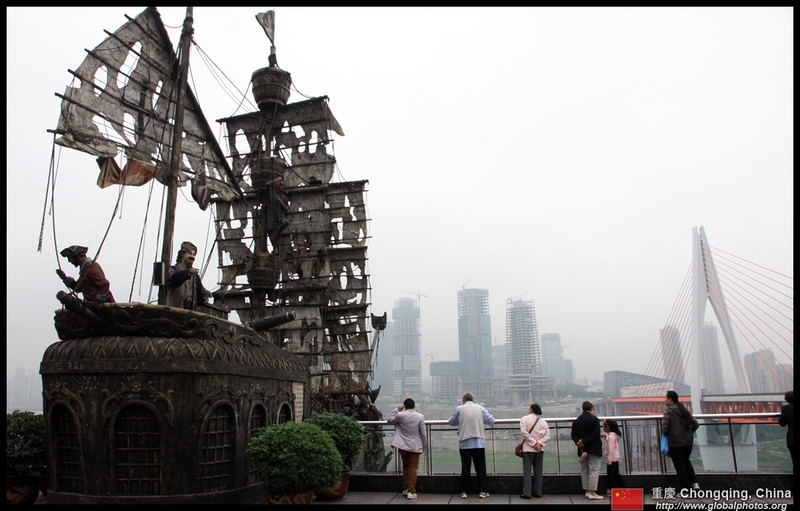 In fact, it has surpassed Tokyo Bay as the biggest metropolitan area in the world. 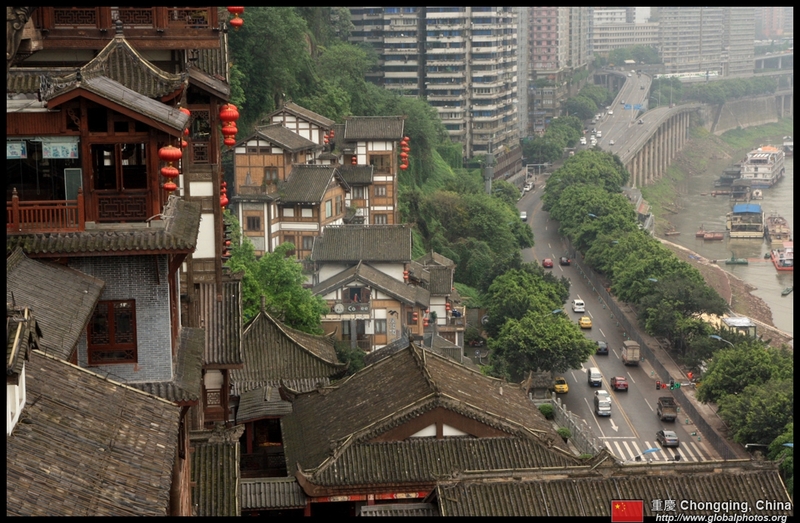 It is also a very hilly city and great engineering is needed to build subways and highways along the steep hillsides. 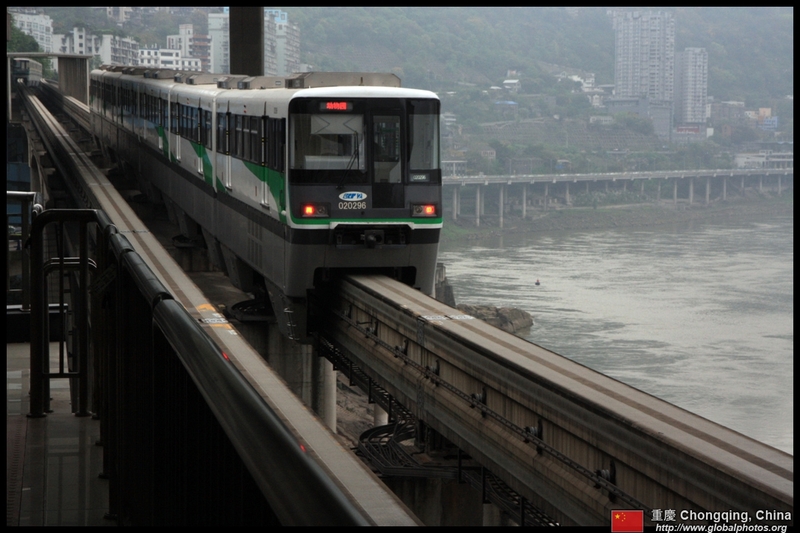 Line 2 is a heavily-used monorail line that runs into the city centre from the southern suburbs. 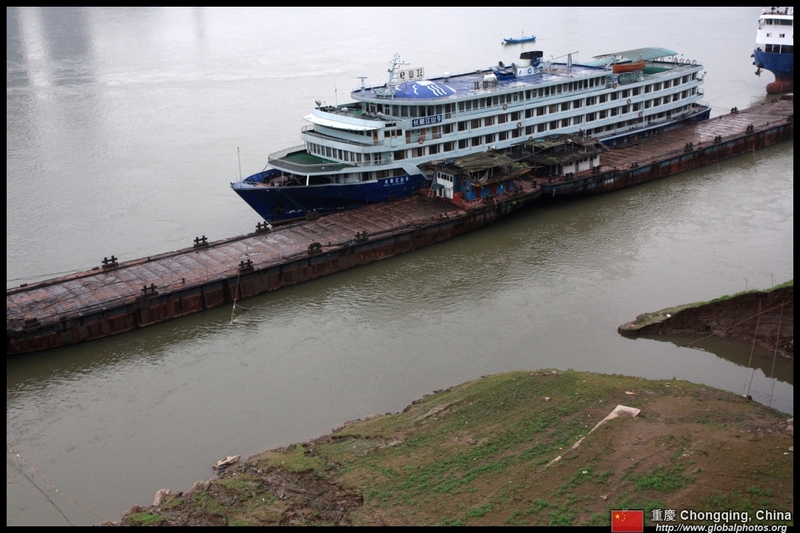 Judging from the crowds, it appears over-capacity already. 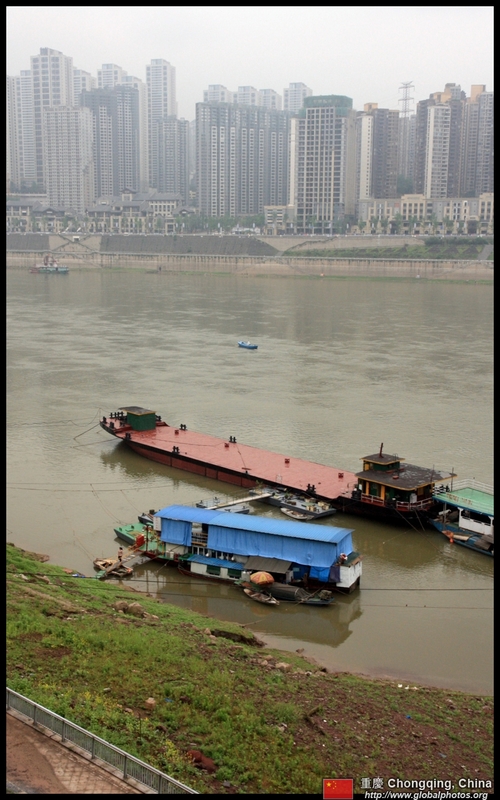 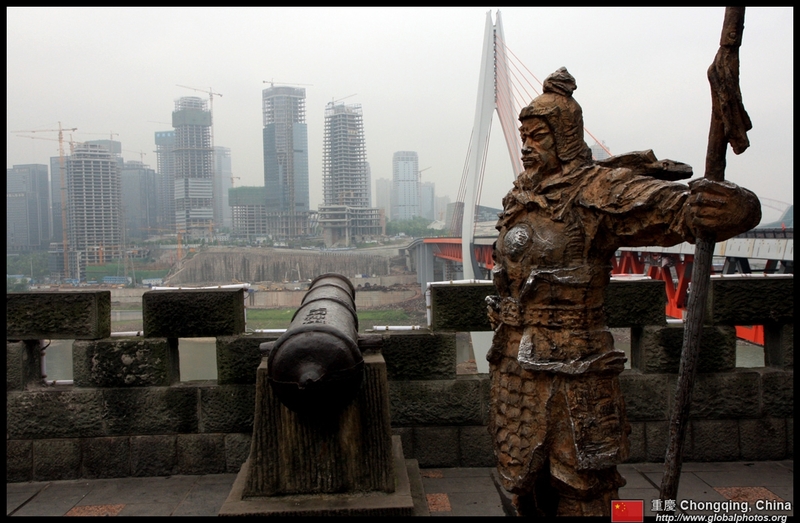 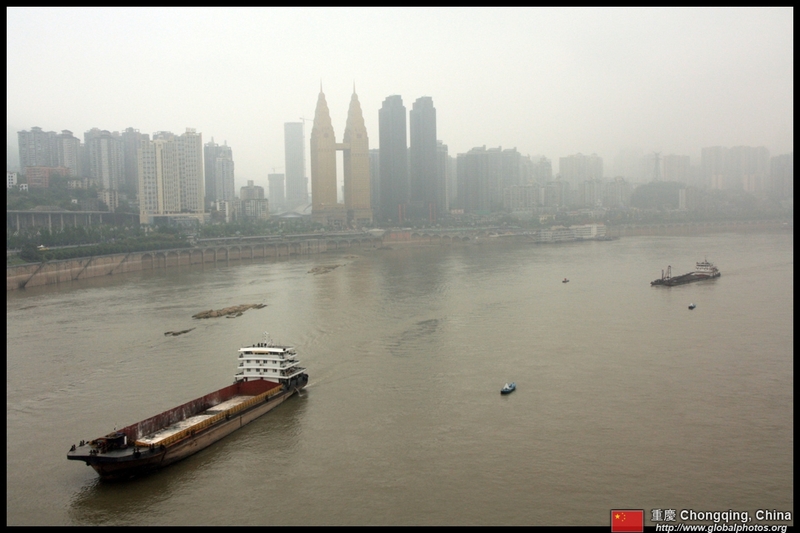 Located at the confluence of 2 rivers, Chongqing is a major river port. 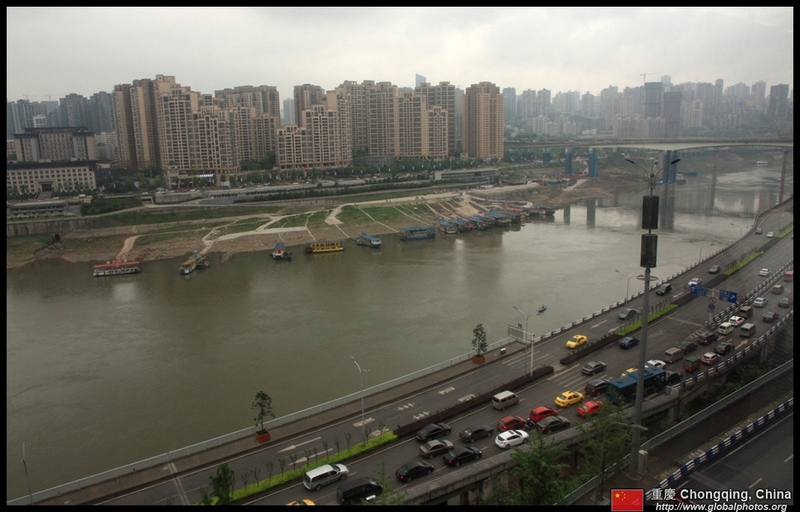 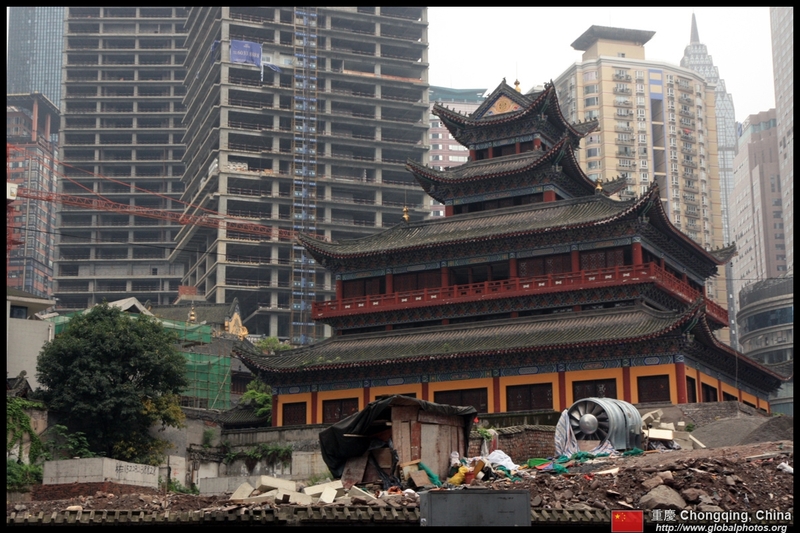 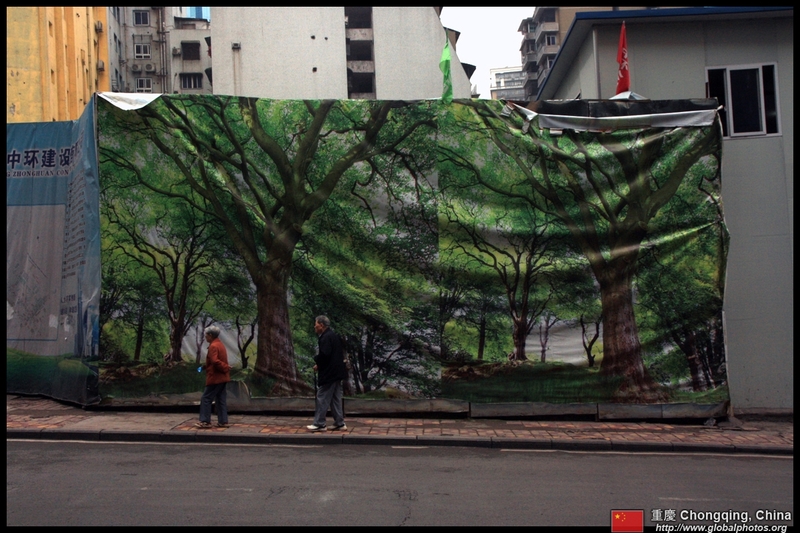 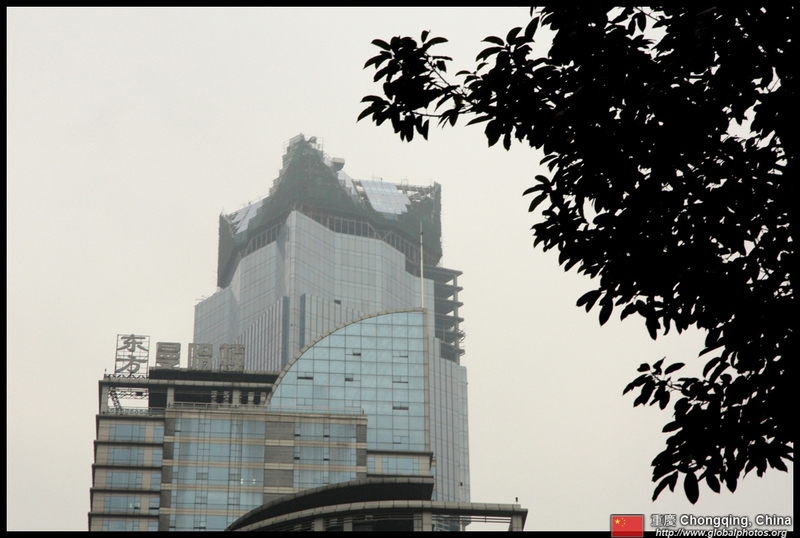 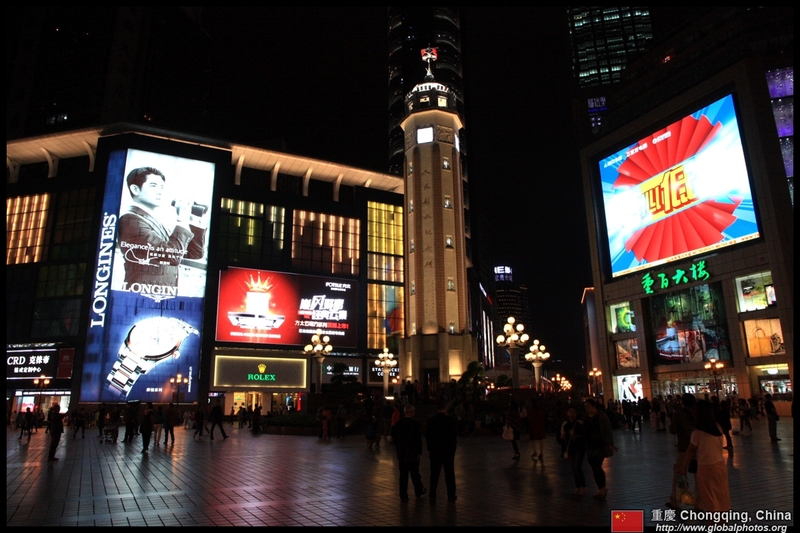 One of the main CBD's is at Jiefangbei, where there is a lot of construction activity happening. 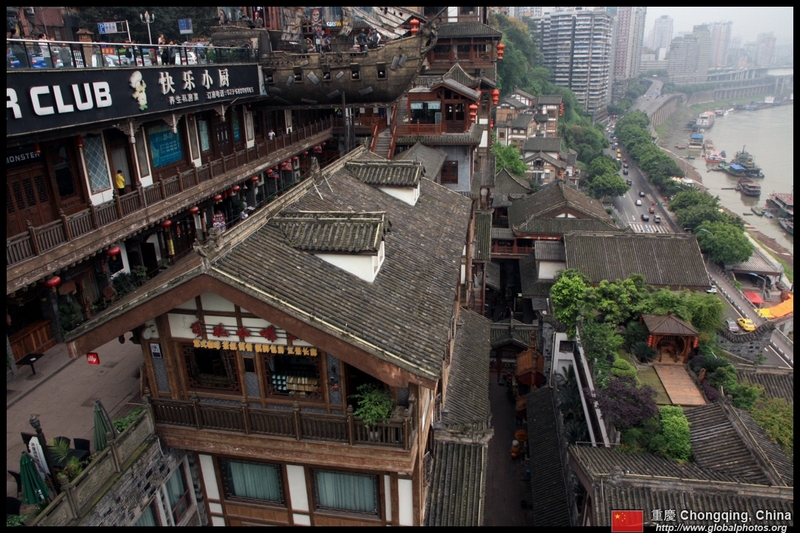 Hongyadong is a re-creation of what the old city looked like - chaotic with many small shops clinging to the hillsides. 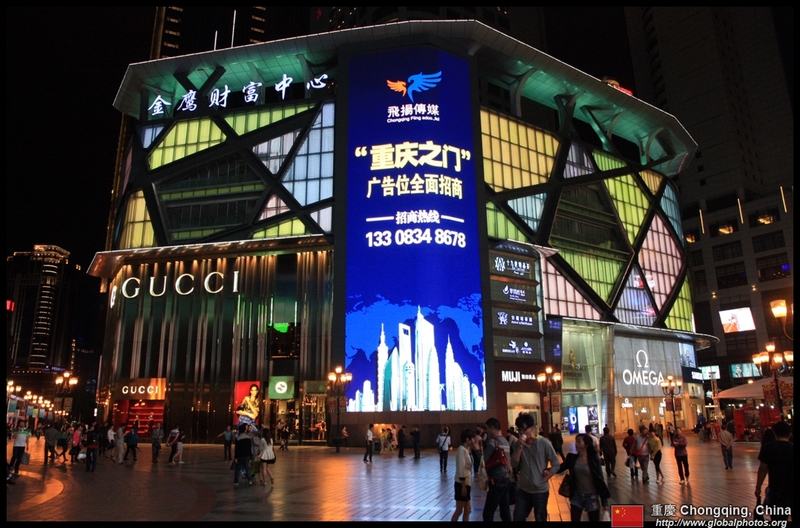 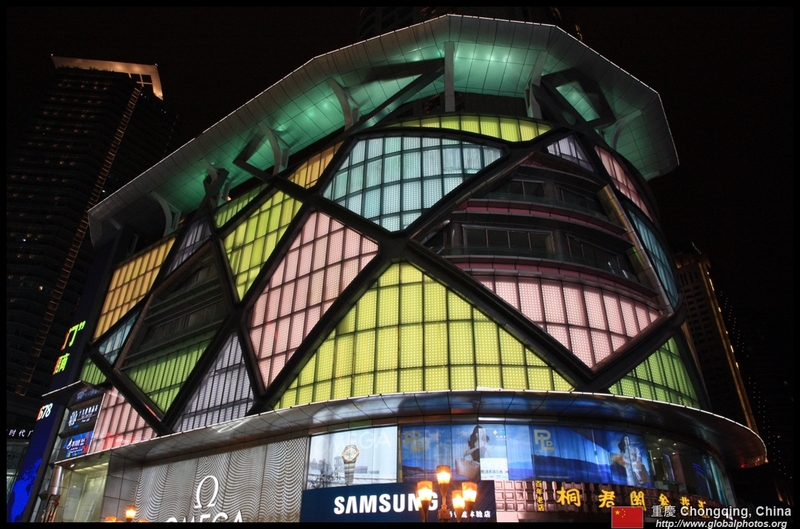 Now it looks a bit fake, like a shopping mall in a historic mask. 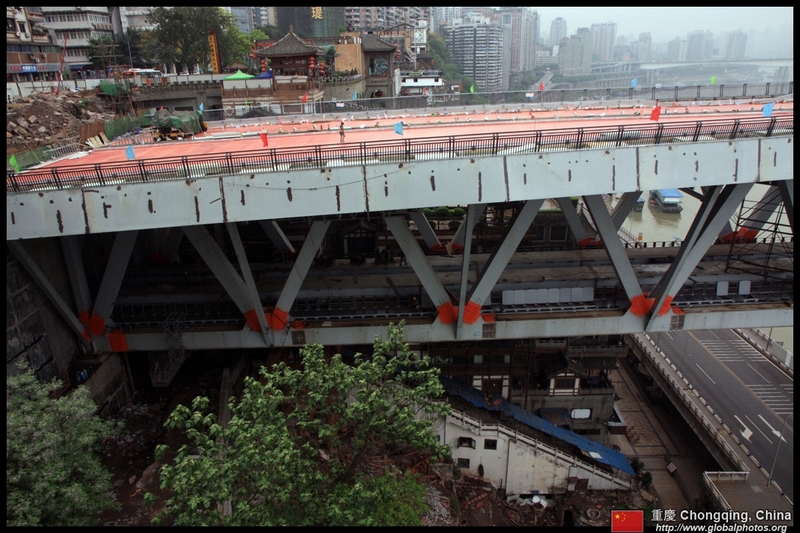 A major bridge is under construction through here. 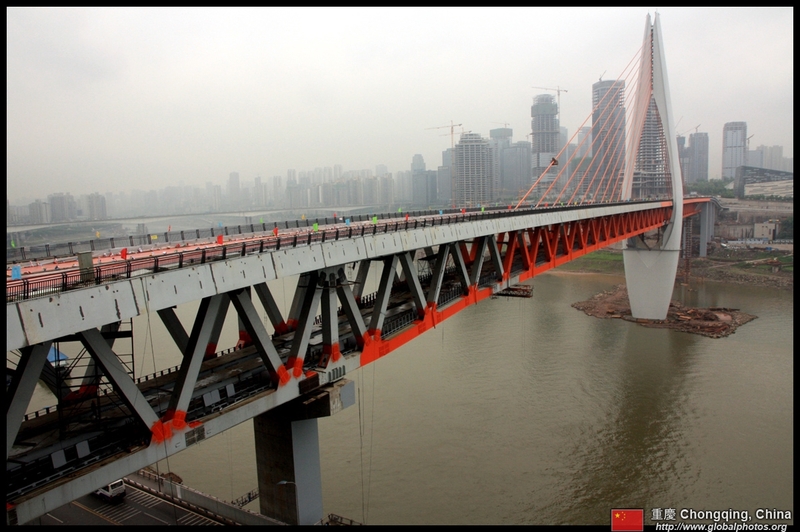 A subway line will run on the bottom deck. 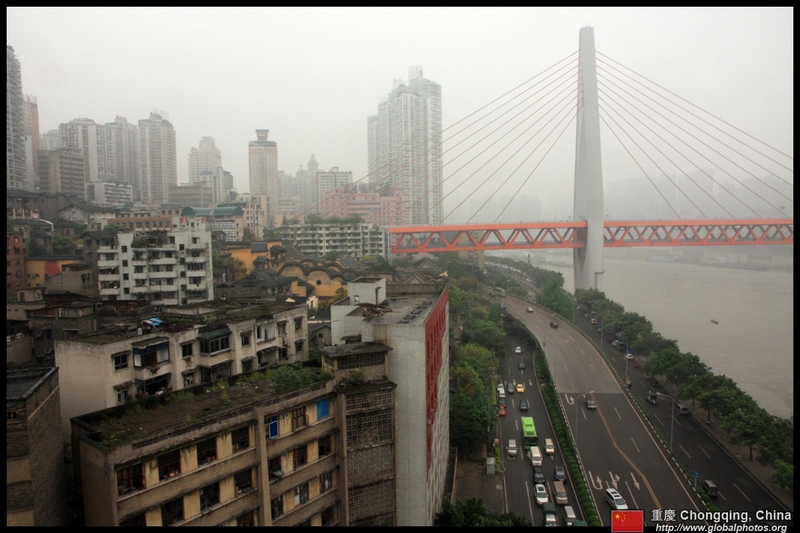 Chongqing is a foggy and gloomy city. 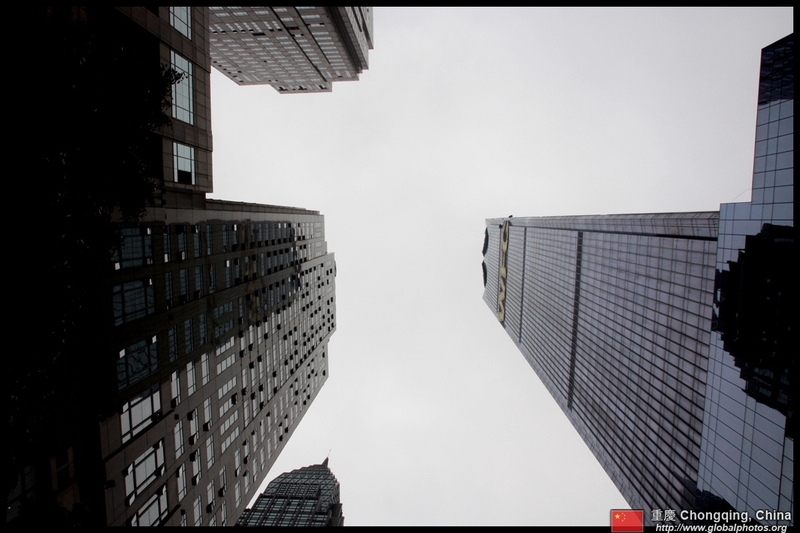 Today, the fog came back but luckily the rain stayed away. 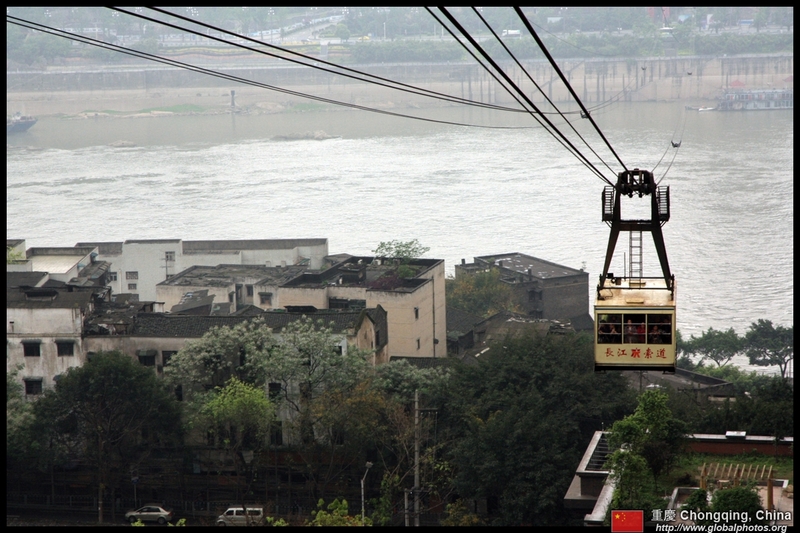 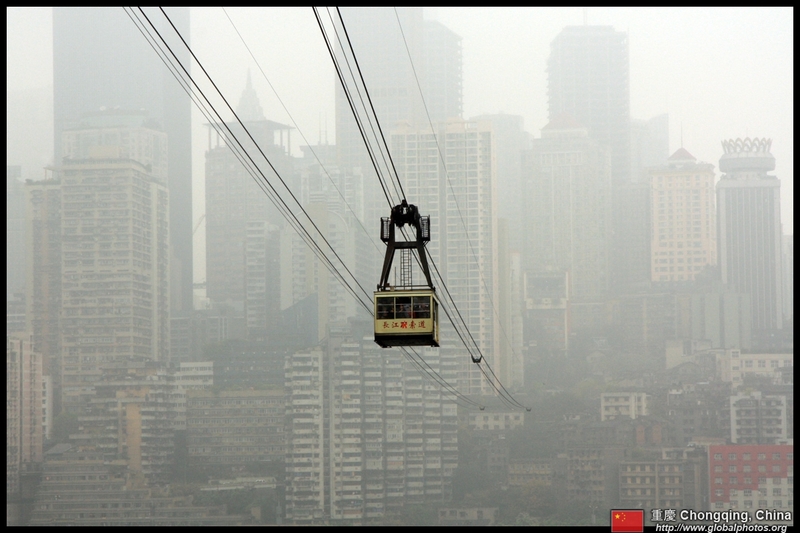 This cable car crosses the Yangtze River, offering panoramic views of the city. 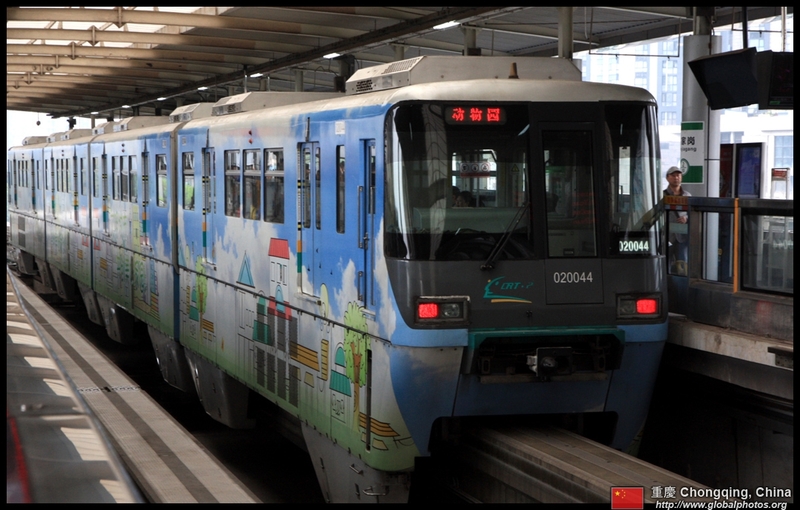 A single ticket costs 10 yuan while it only costs a fraction of that using the local transportation smart card. 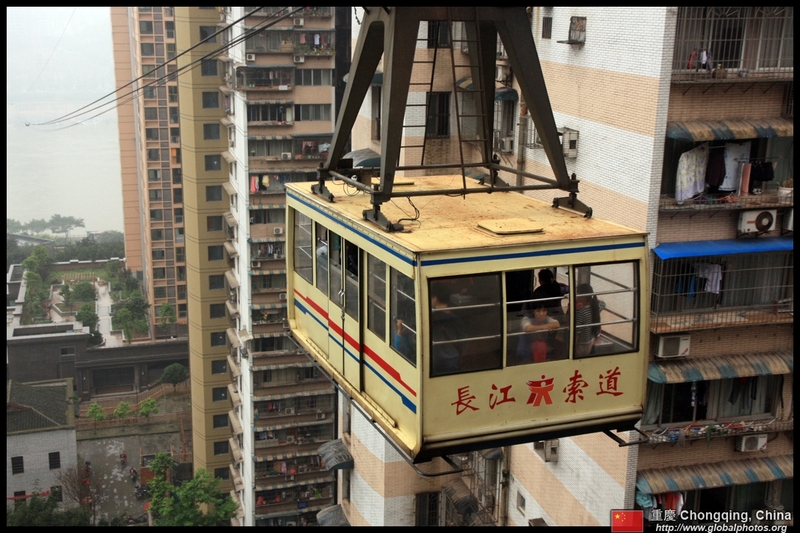 Guess they are out to rip off tourists. 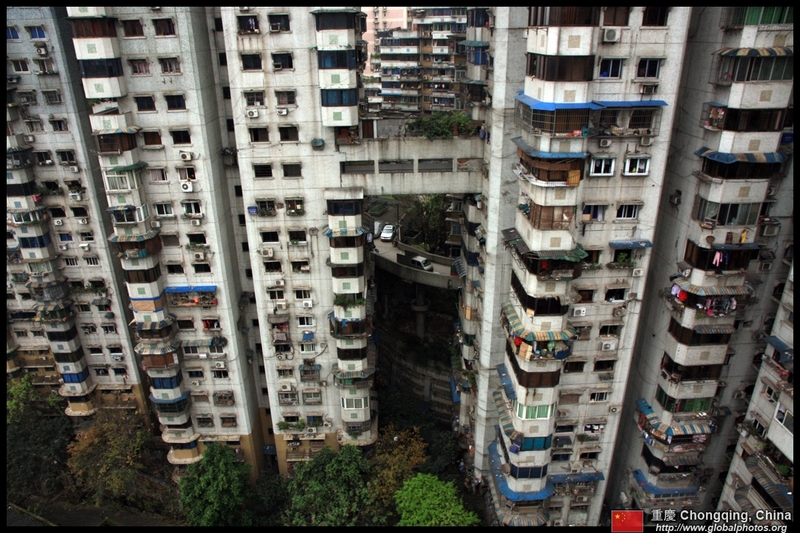 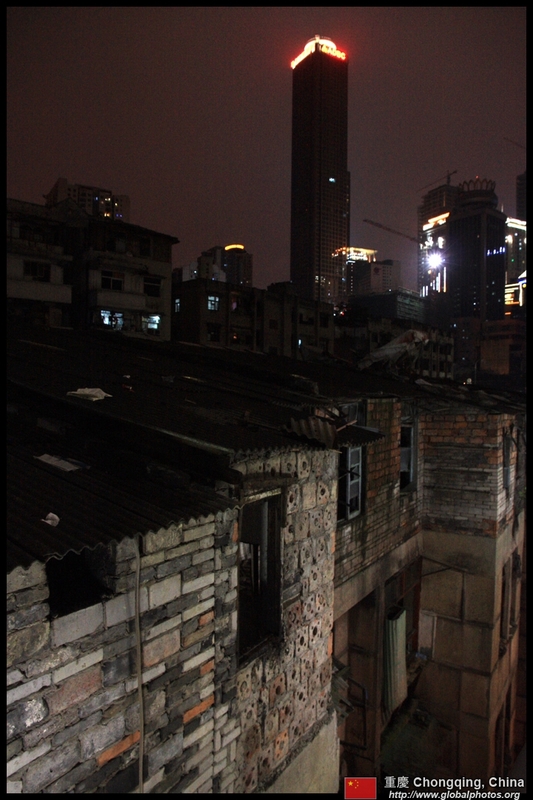 Chongqing is a very gritty city. 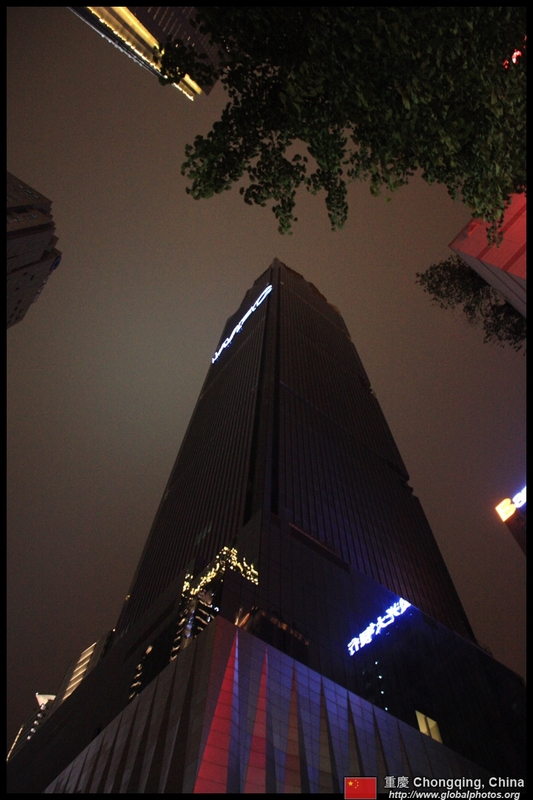 The fog is back! 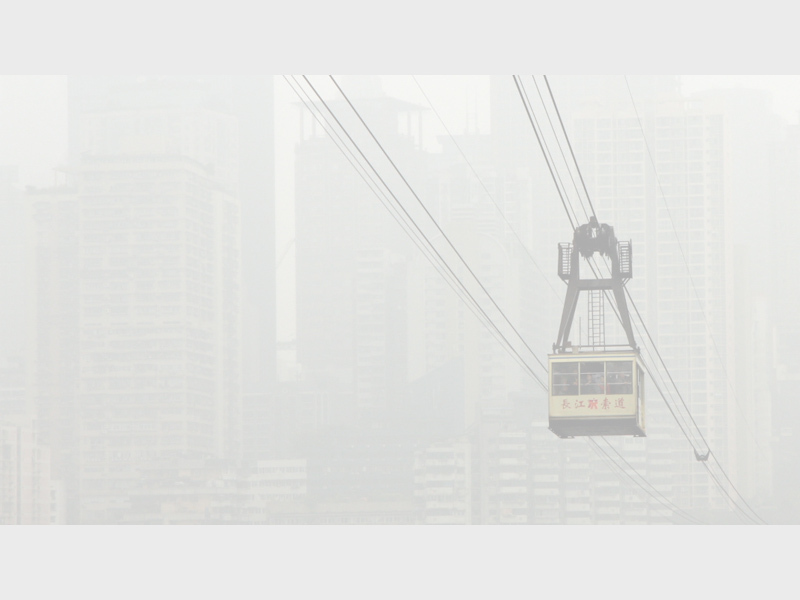 This fog allowed the city to repel the Japanese invasion during World War II. 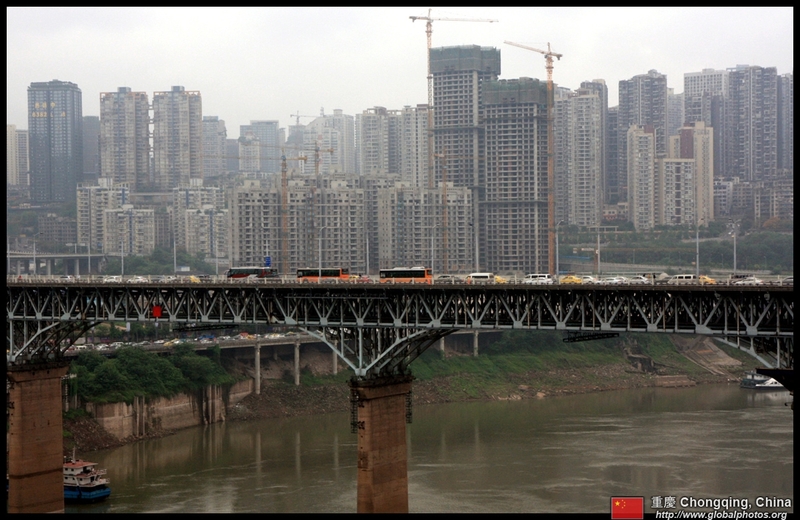 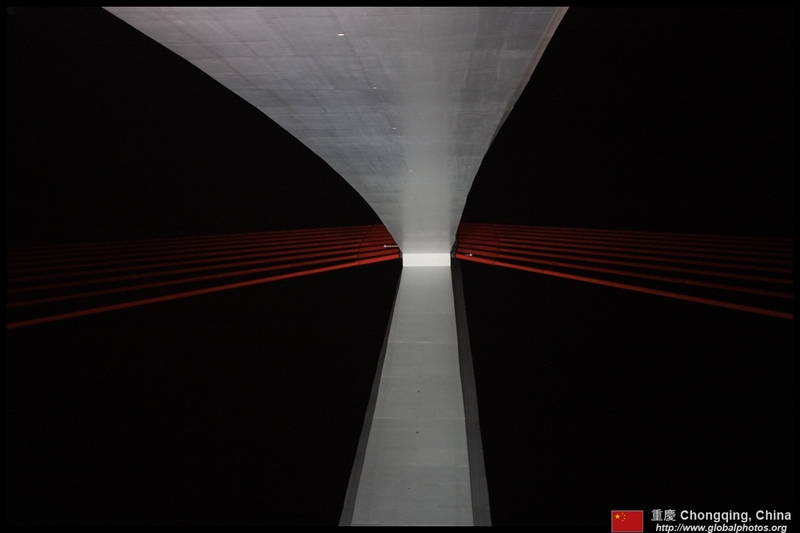 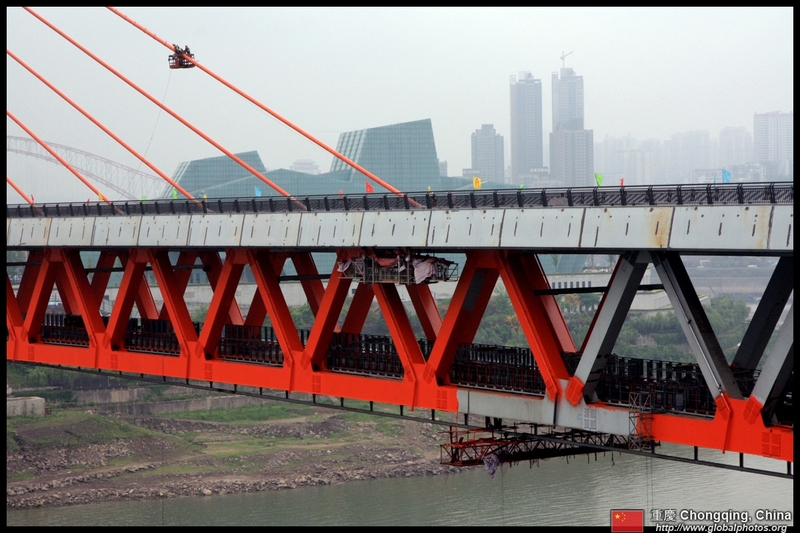 Nowadays, numerous bridges and the subway line all cross the Yangtze. 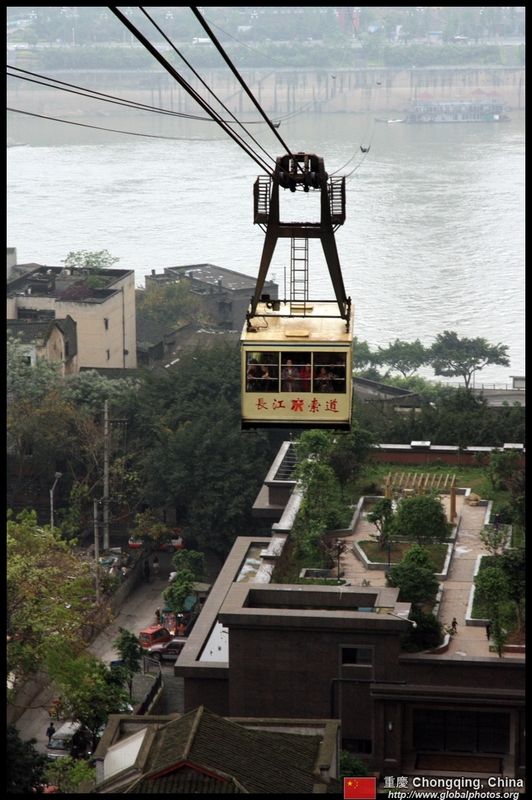 Nevertheless, the cable car is a popular tourist attraction. 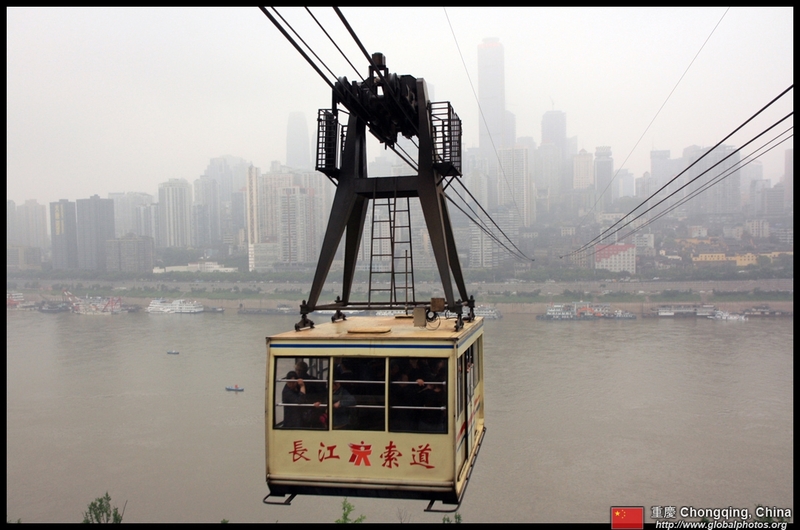 Unfortunately, the 2nd cable car crossing the Jialing River closed several years ago. 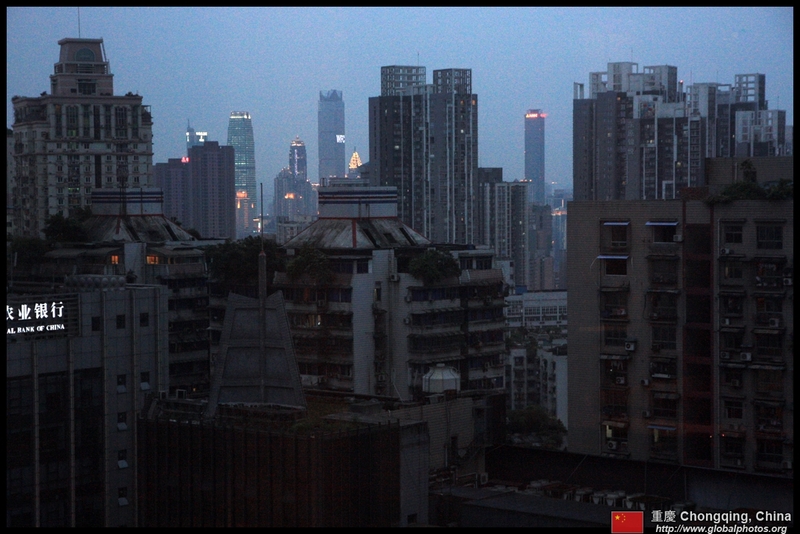 The vastness of the city offers many different vantage points of the small but growing skyline. 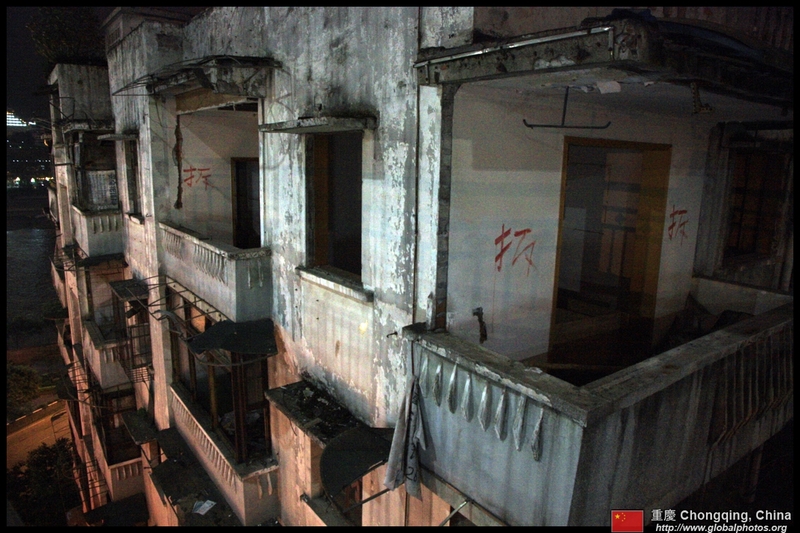 Coming back at night, you get to see some eerily-empty buildings awaiting redevelopment. 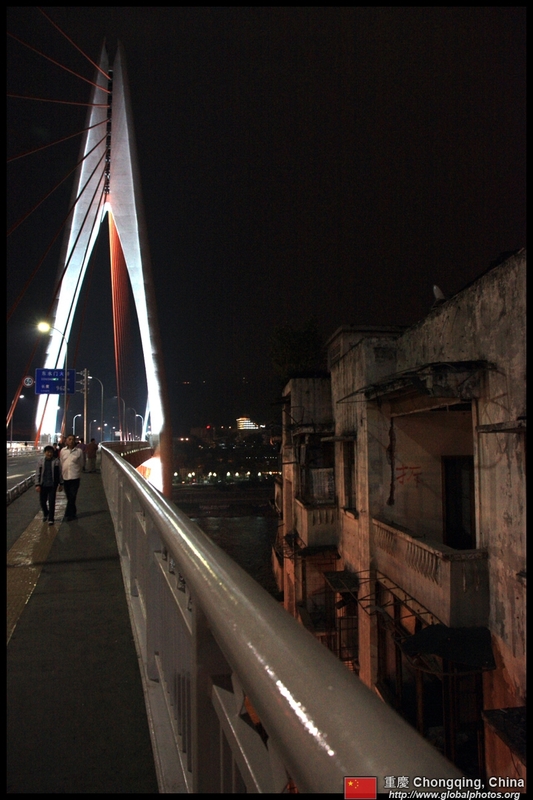 Join the locals and walk the bridge at night! 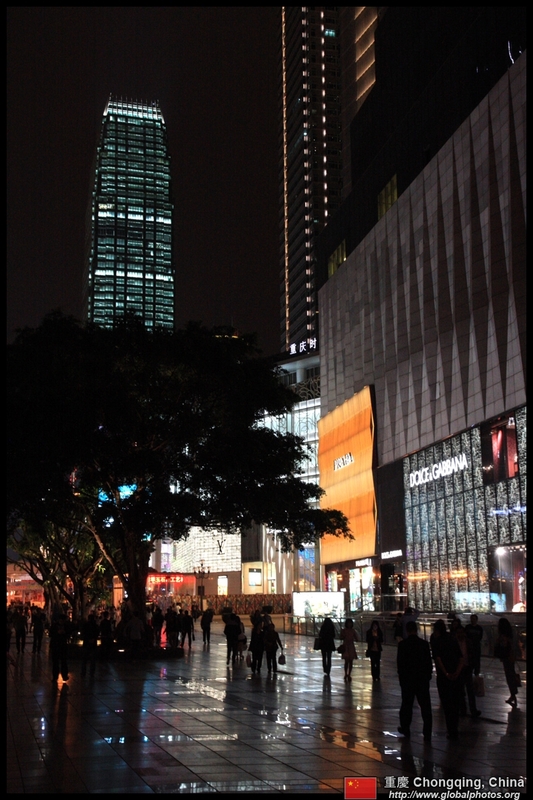 Yet a few blocks away, the city is alive, tall, and bustling.